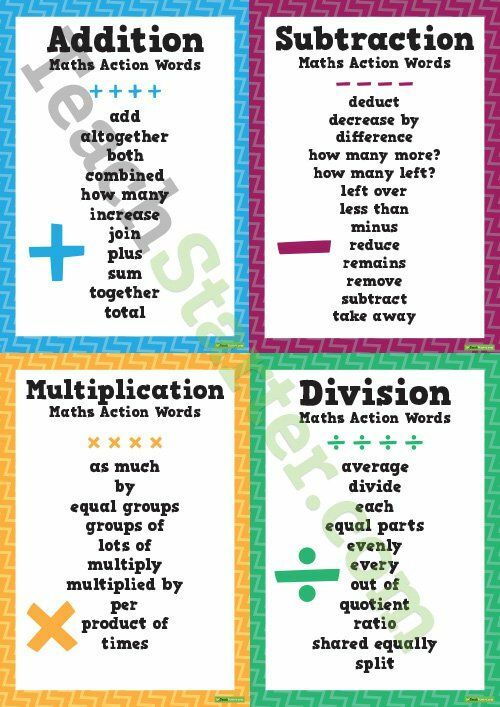 Teaching Resource: A set of four posters each with a list of maths action words relating to addition, subtraction, multiplication and division. Description: In this lesson, students will learn to solve division problems by relating them to multiplication facts. Practice materials focus on the 6's and 8's multiplication facts.